Barter, or chalasq’a in Quechua, is an exchange of goods. It makes up a simple economic system that has existed since ancestral times. 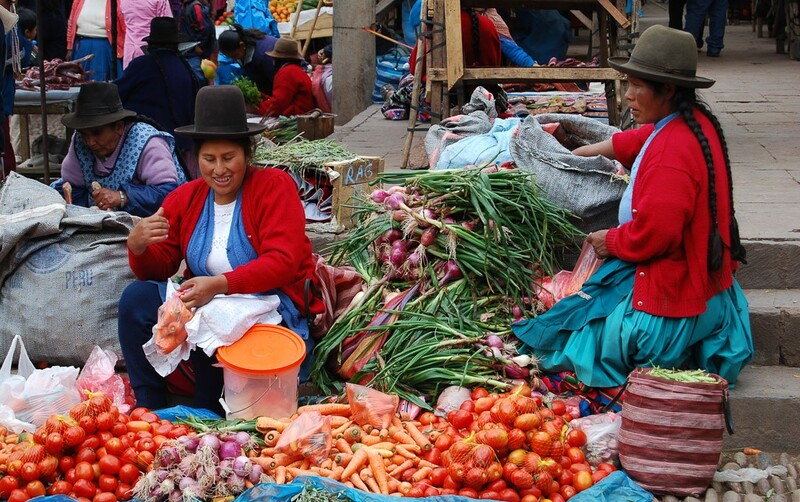 In the epoch of Tawantinsuyo, the Inca Empire, barter was the economic practice that guaranteed family consumption. It did not require money. The practice continues today in come communities and zones of our region. Such is the case of the Sacred Valley. The communities of the upper slopes and valleys of the mountains rely on it in their relationship with the towns on the valley floor. National and international tourists find this custom fascinating when they come upon it in native markets, or in the fairs organized on Sundays or feast days. There people exchange natural products, such as potatoes, corn, quinoa, utilitarian vessels, wool, weavings, etc. Since communities, and families within them, live in different ecological niches they have different products. 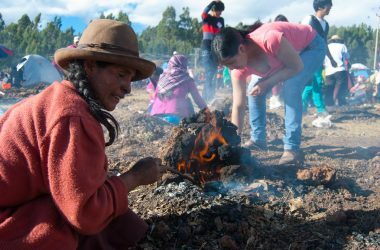 For example, people on the valley floor produce corn while those of higher communities, such as Chinchero, produce potatoes and wheat. They are also experts in making textiles and spinning wool. People even further up mountain specialize in raising llamas and alpacas for wool and meat. To have a balanced larder they exchange with each other. During these exchanges, people are not only carrying out economic transactions, they also exchange culture, ancestral traditions, and identities. Each community has knowledges, clothing, customs, and such that are different from other communities. These mark the difference among the population of one or another community. But to barter they come together and celebrate. People participate in barter both as individuals and as collective members of a community. They do it autonomously and voluntarily when they come to the fairs and markets. 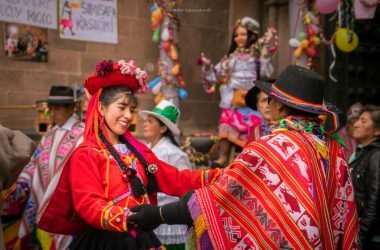 They build long term ties with people and communities with which they make exchanges based on social cooperation, redistribution, and above all the reciprocity that has continued since Inca times as a key part of the Andean worldview. In these exchanges, the role of the women is paramount. They are the ones who since ancient days have administered the household economy. They play an important role in agriculture and in the conservation of genetic variety in the seeds of native produce. 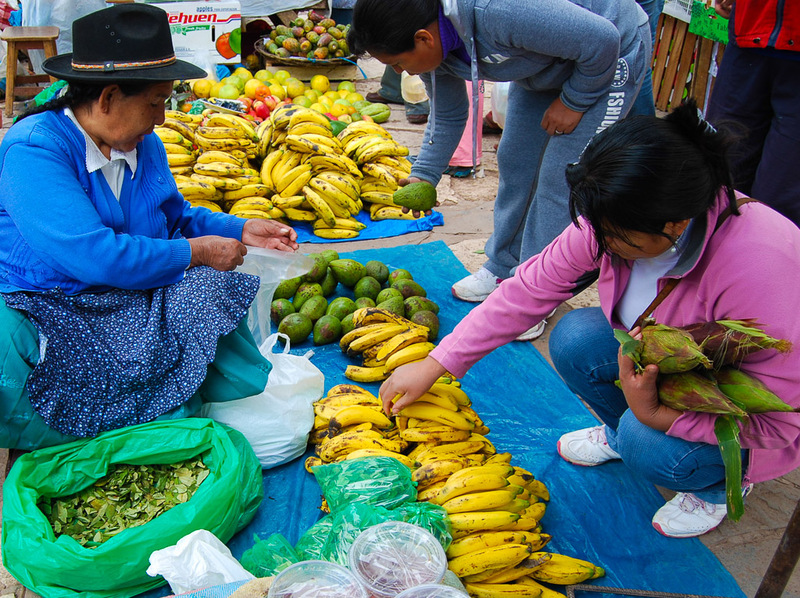 Among the most used products for these exchanges we have: corn, coca leaves, herbs (known as asnapas, chuño, potatoes, wool, animal fat, clay pots, artisanal cheeses, vegetables, and fruits from the Sacred Valley. We can mention some values that guide the interchanges. One that predominates is the “I give to you and in exchange you give to me”. For example, I give you jerky and you give me potatoes or I give you asnapa and you give me dried broad beans. The exchange could also take the form of I work one day for you in shucking corn and, in exchange, you give me a sack of corn. The kinds of equivalences that are found were established by the people. They use as means of measure to establish equivalences things like hand fulls, mounds, baskets, or bundles such as for asnapas and other herbs. Thanks to this system of exchange, without money, people can satisfy their demand for products which, because of their geographic location, they do not produce. It contributes to family development. It protects the farmers from the fluctuations of market prices based on money, limits the participation of intermediaries, promotes good relationships among community members and with other communities, and is a good solution for the lack of money. 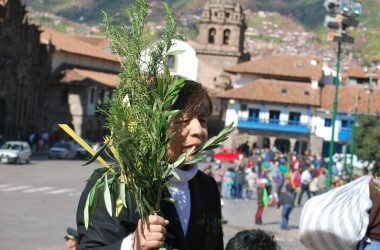 In this way people also eat healthy and natural Andean products as well as maintain our Andean identity.